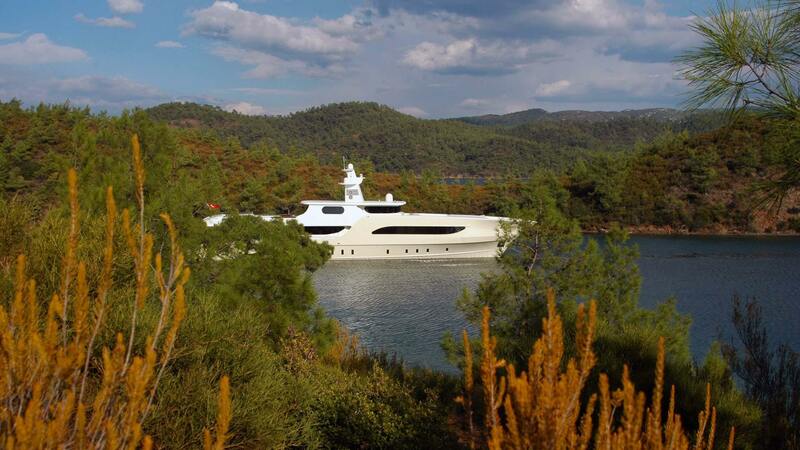 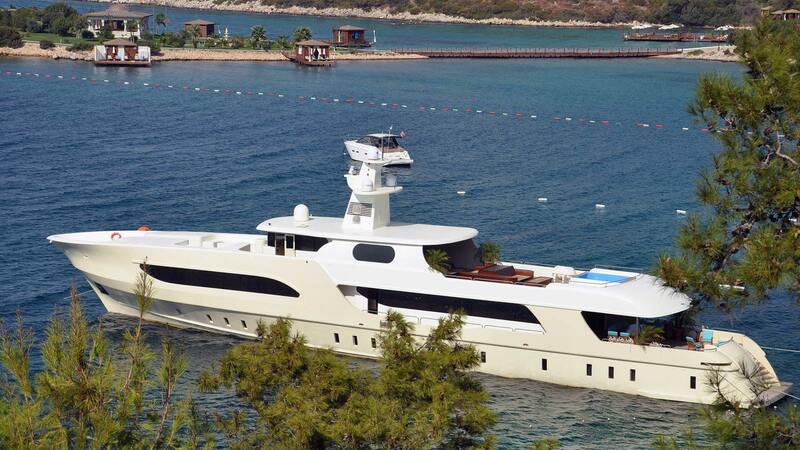 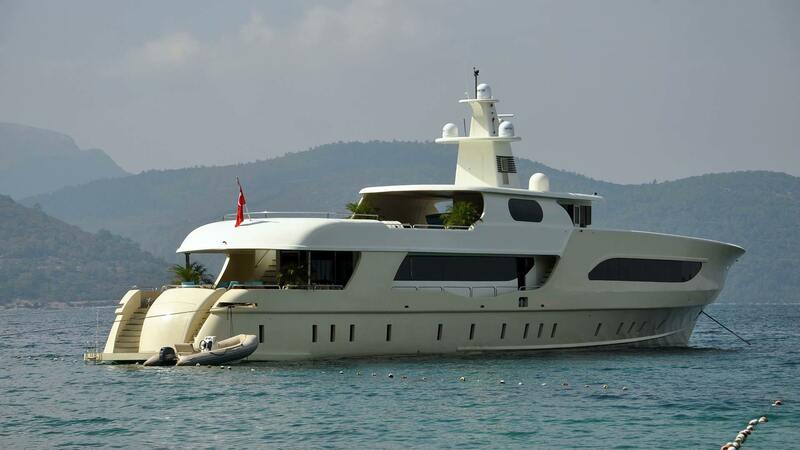 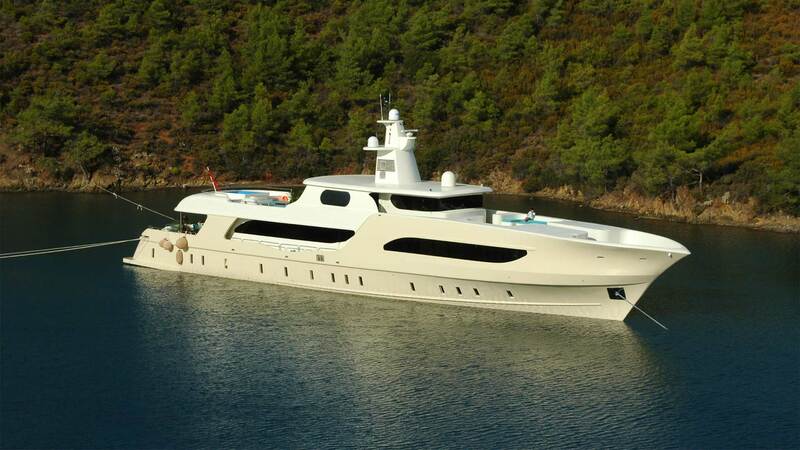 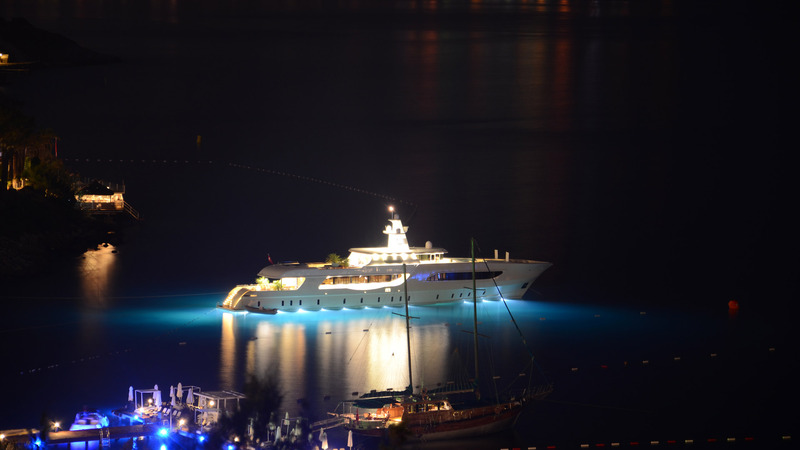 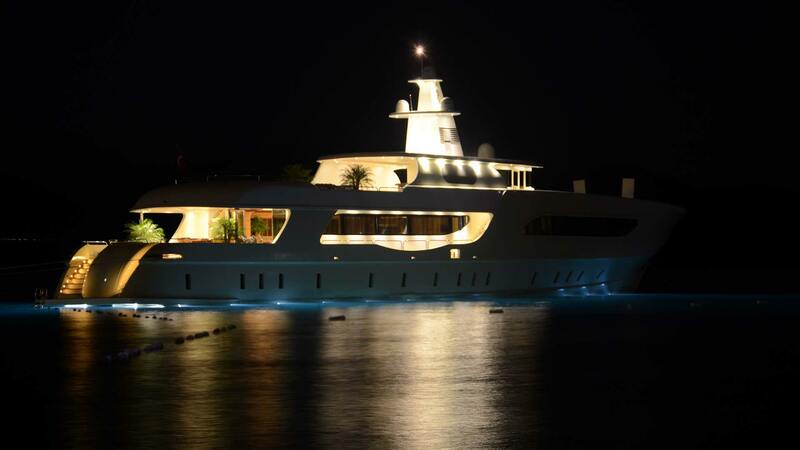 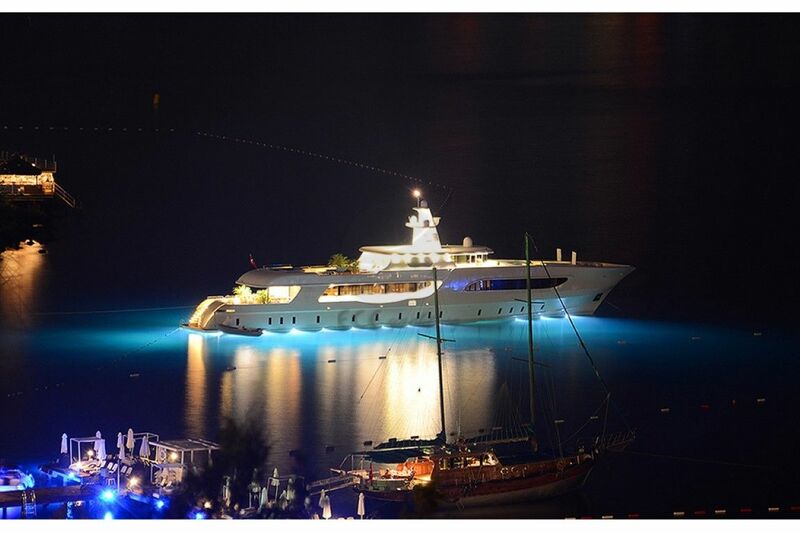 Built in 1964 by Lurssen, the 155.84ft/ 47.5m custom motor yacht Kuzey T was extensively refitted in 2012. 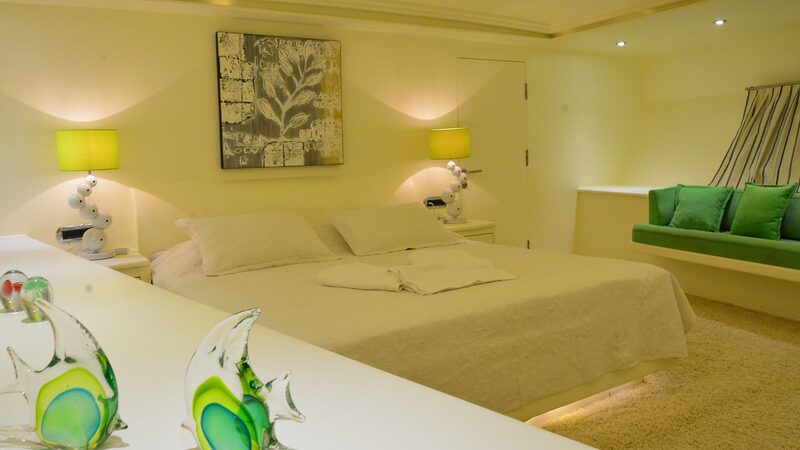 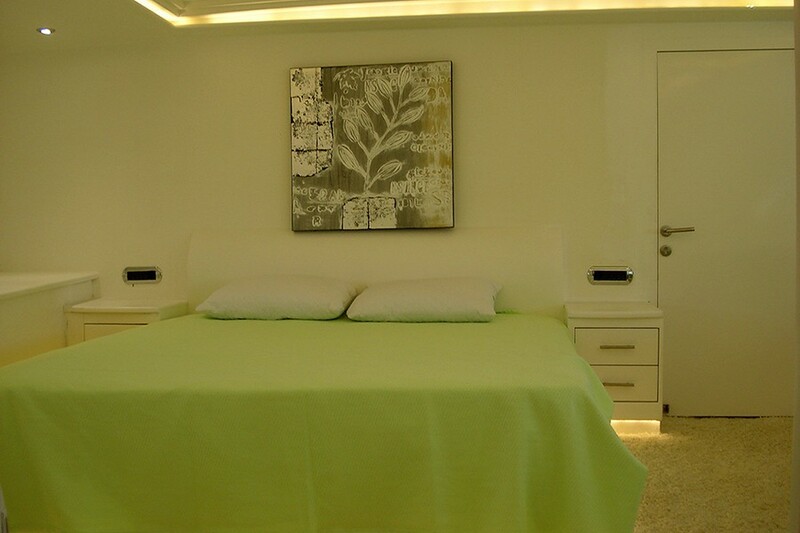 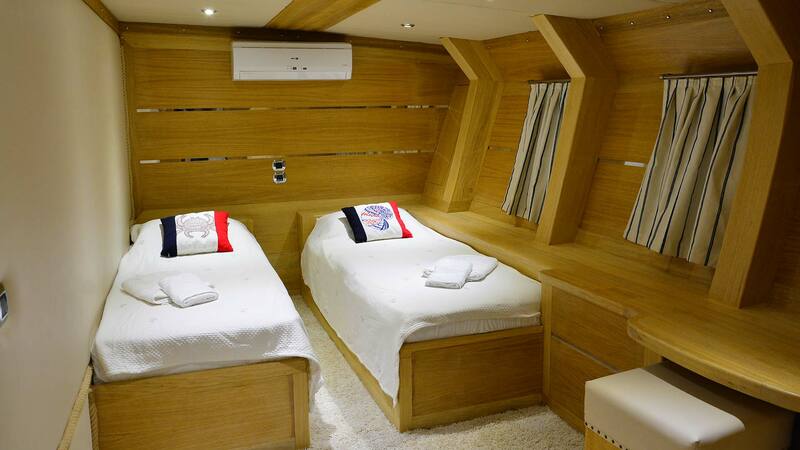 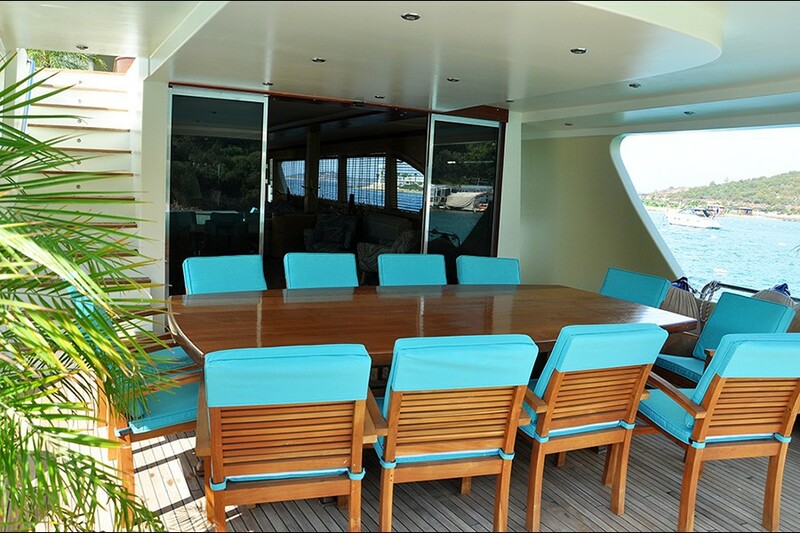 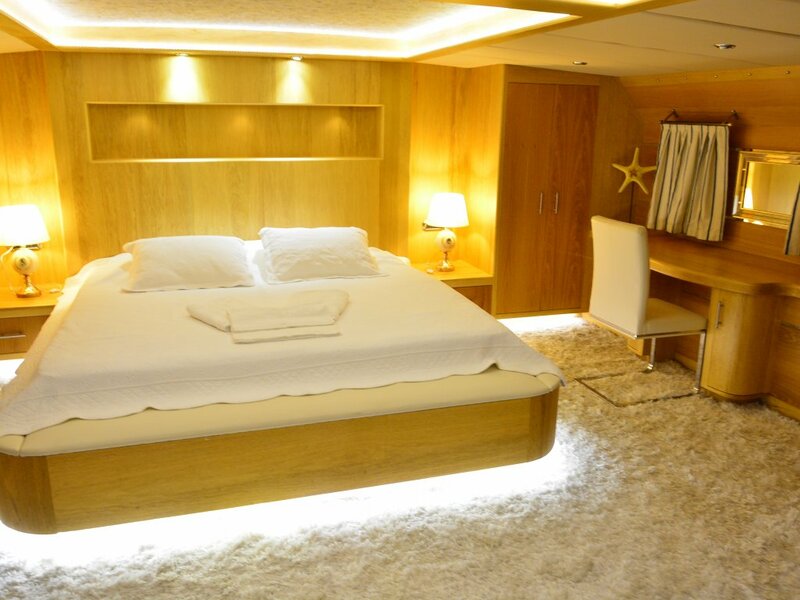 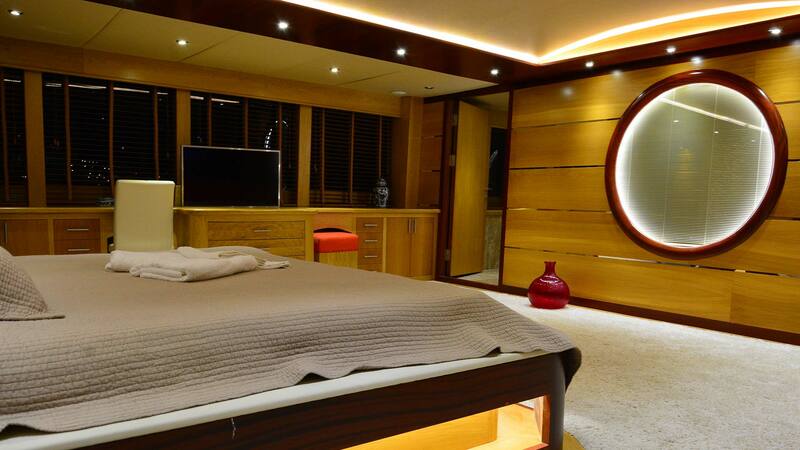 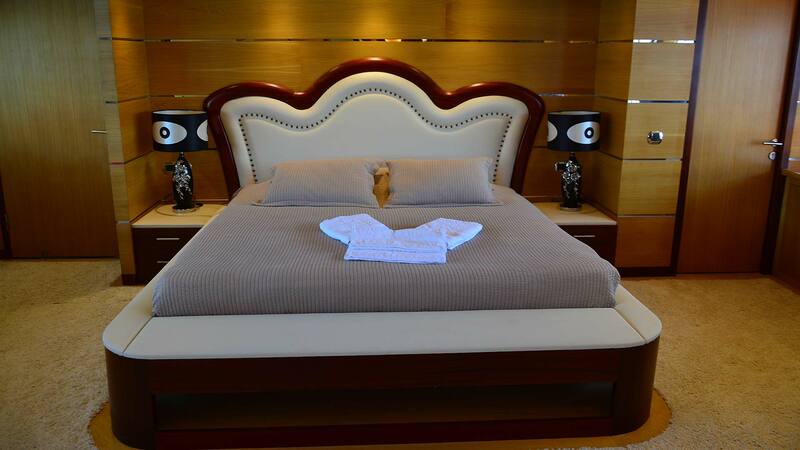 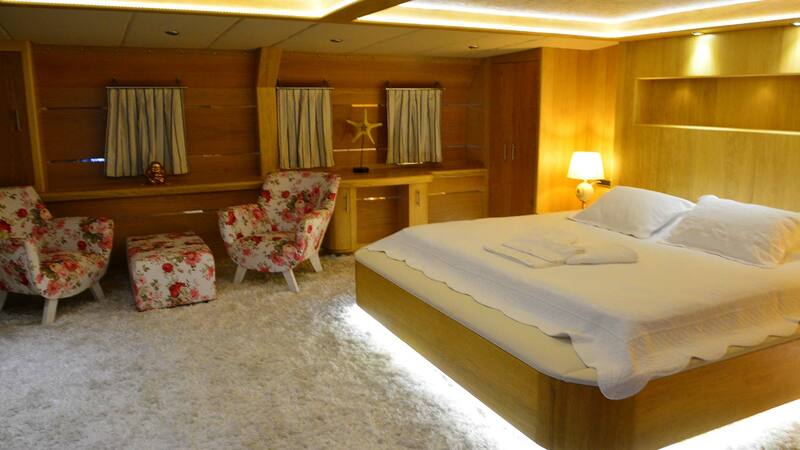 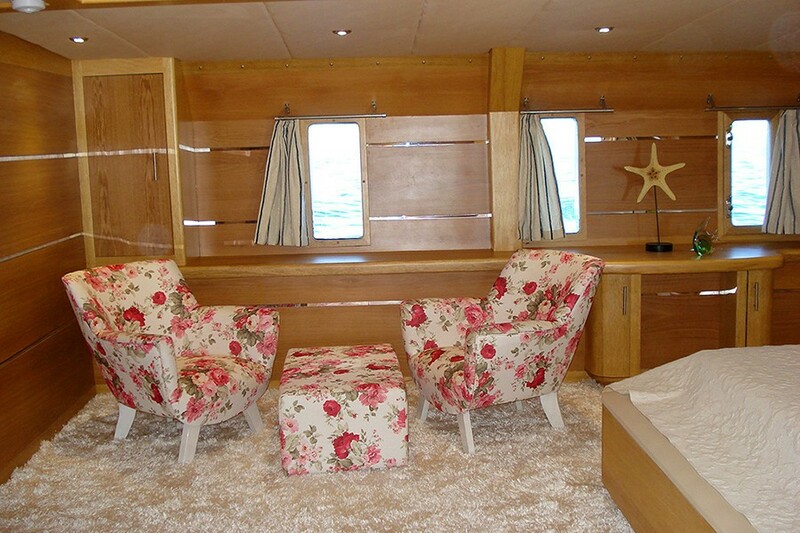 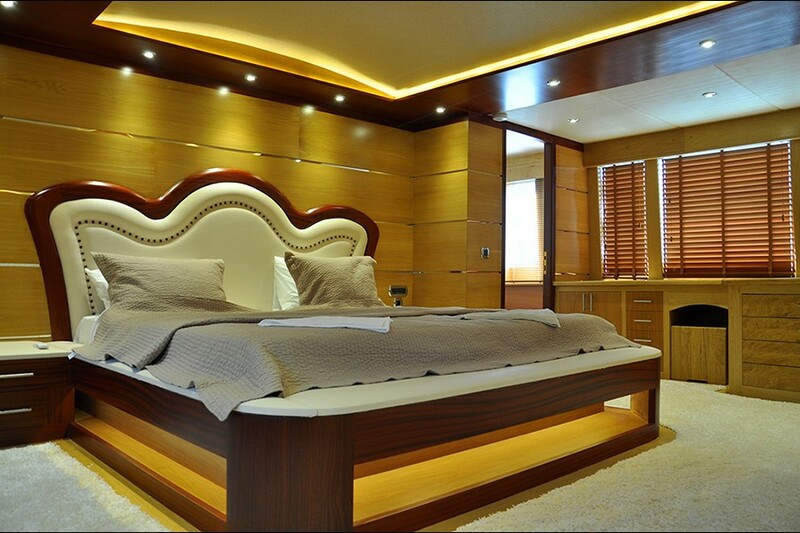 She can sleep up to 10 guests in 5 cabins, all of which are beautifully furnished. 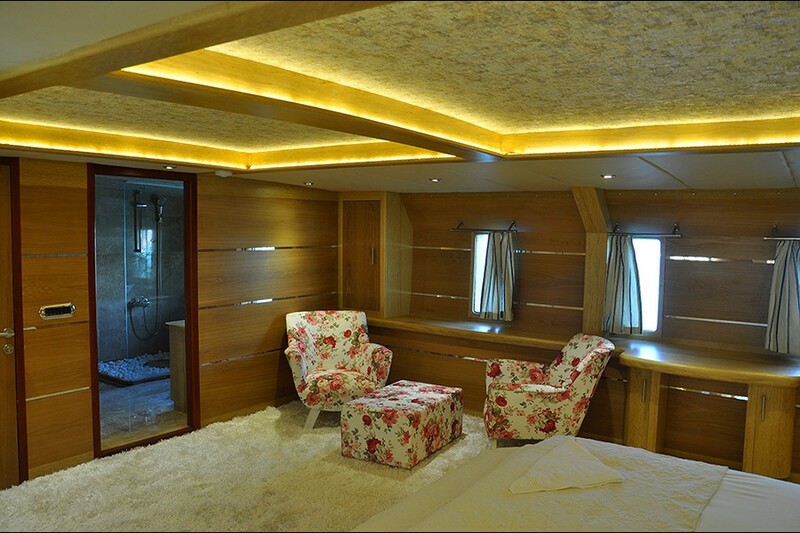 Her interior styling is quite exquisite with luxury seating and high-quality furnishings throughout. 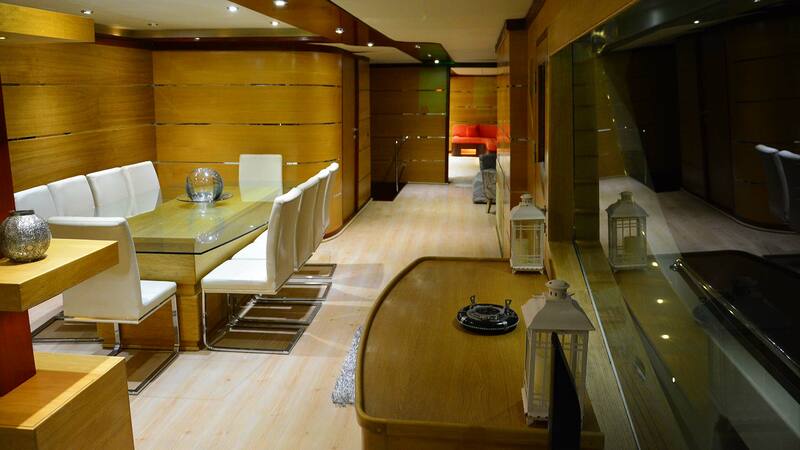 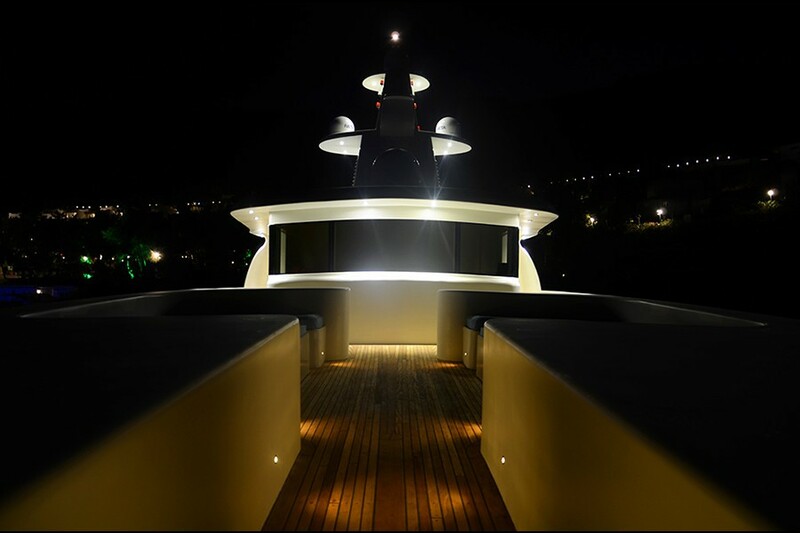 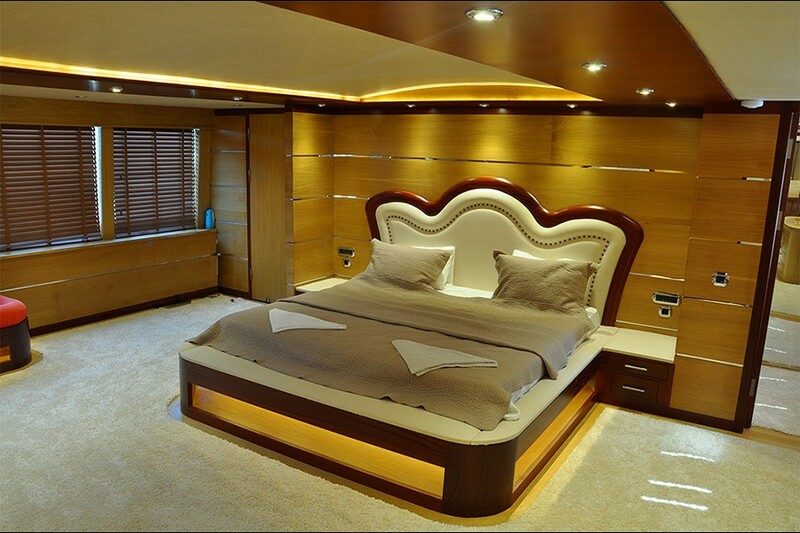 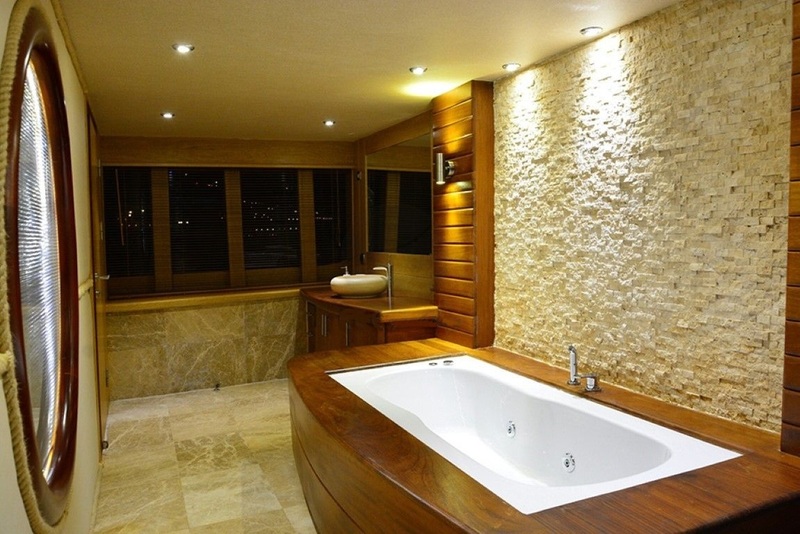 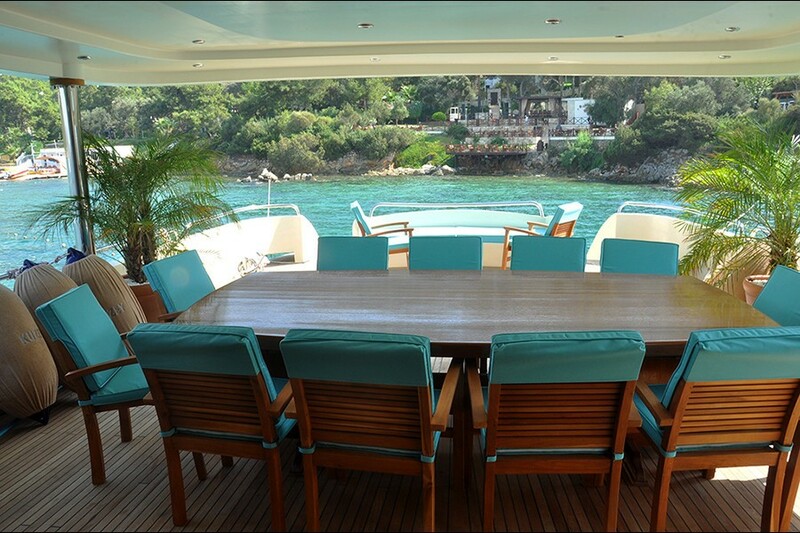 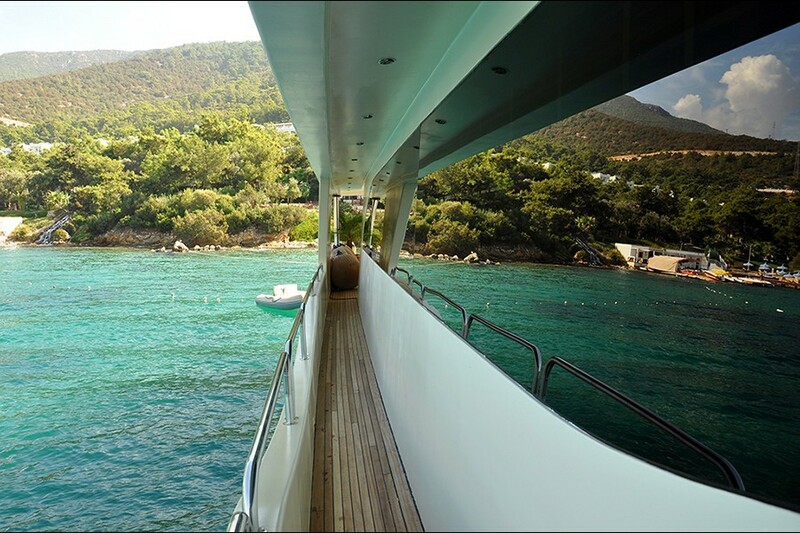 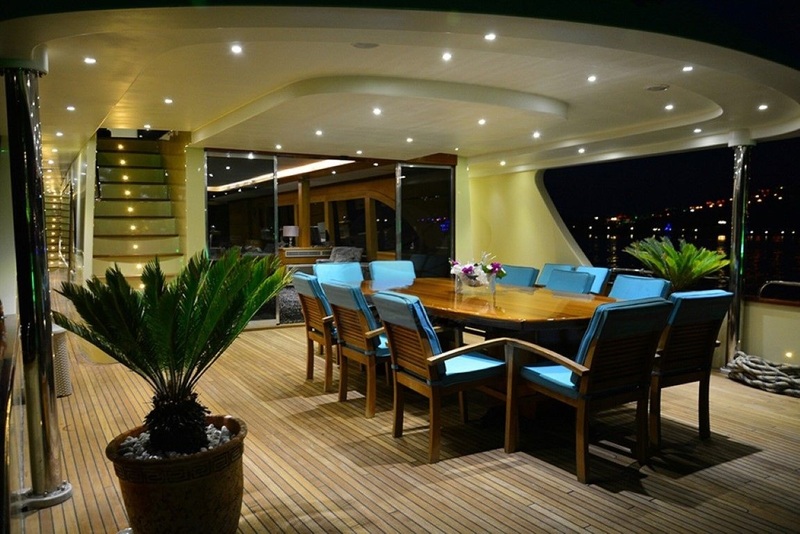 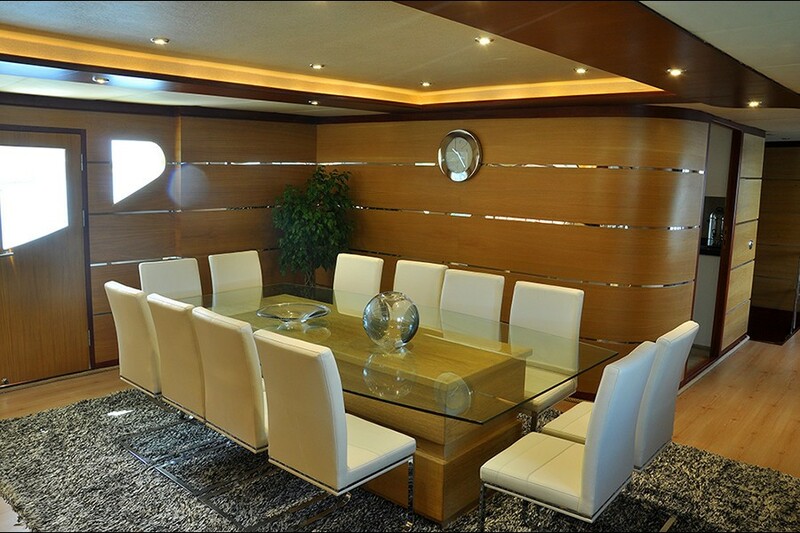 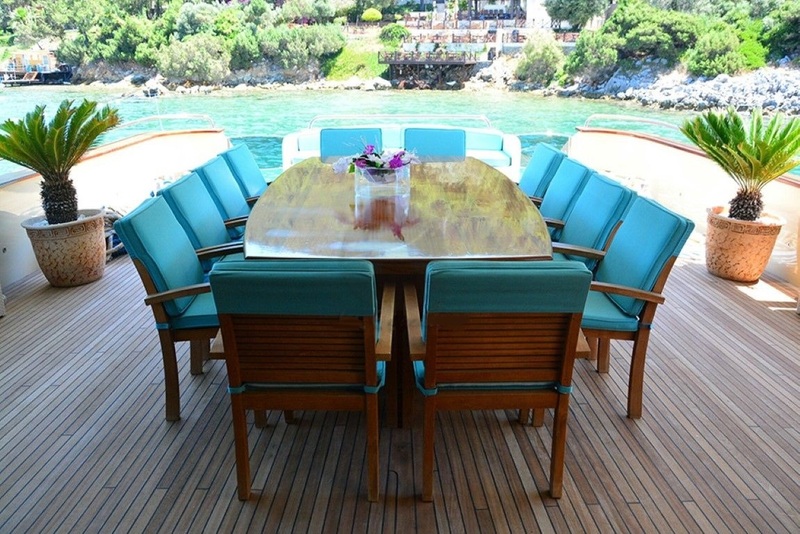 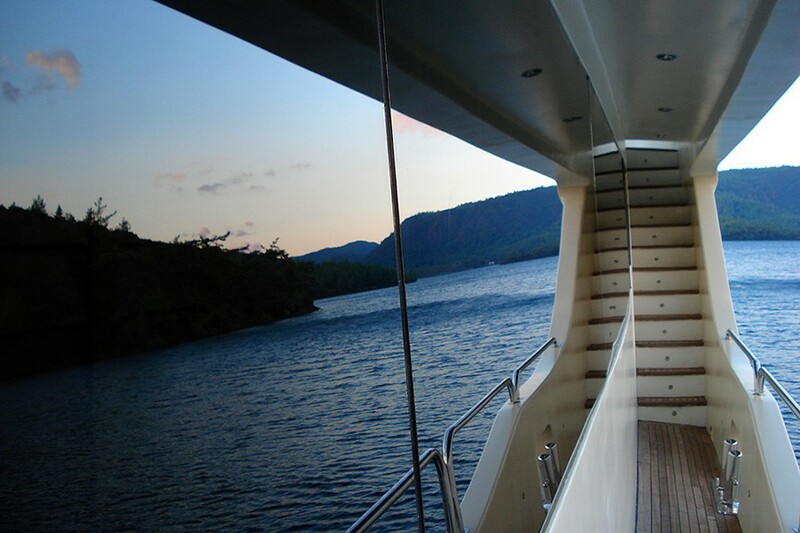 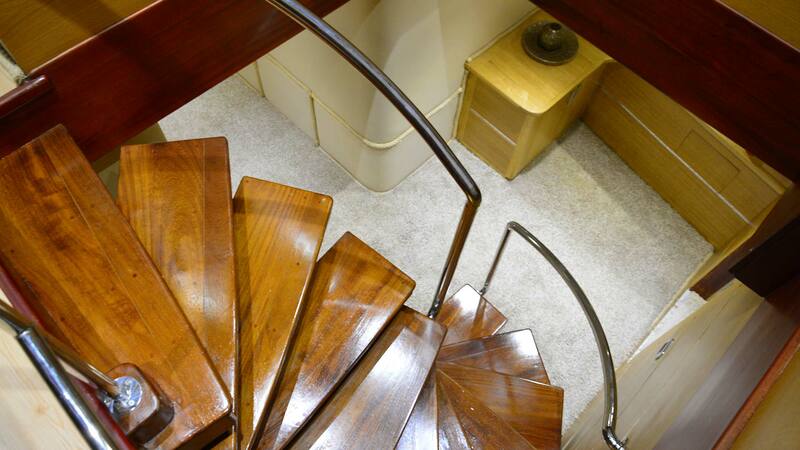 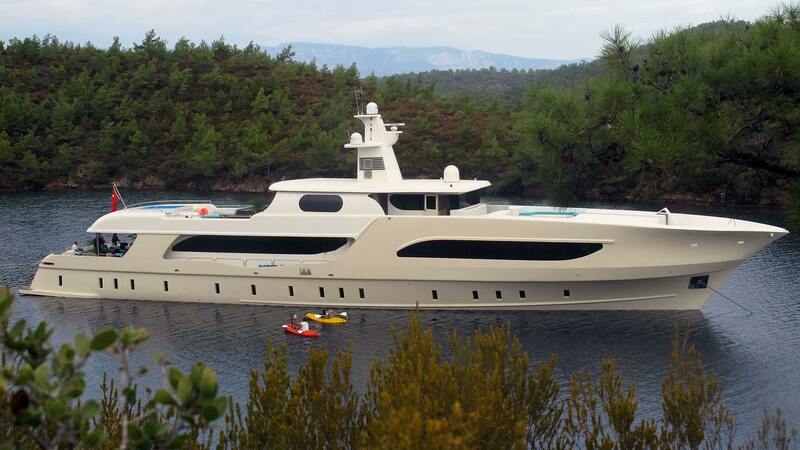 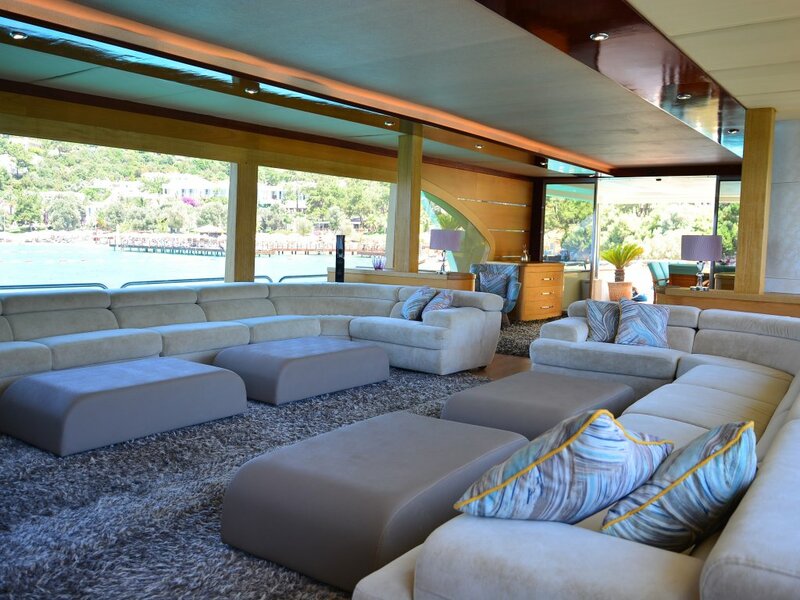 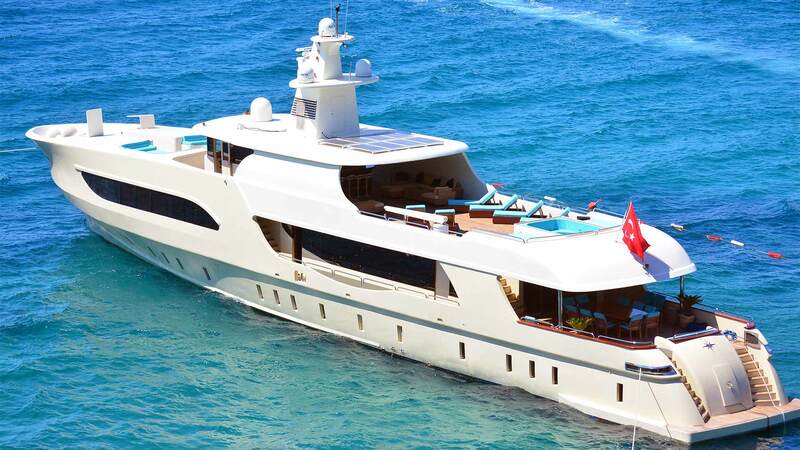 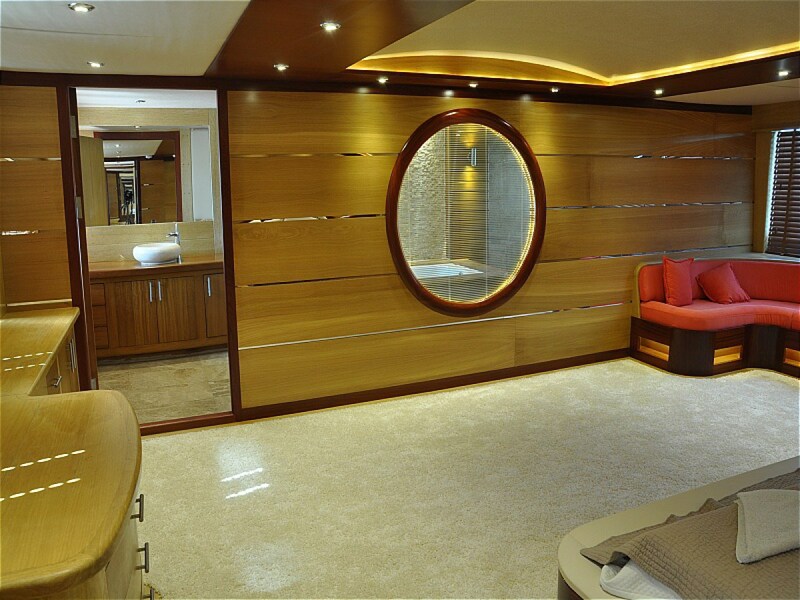 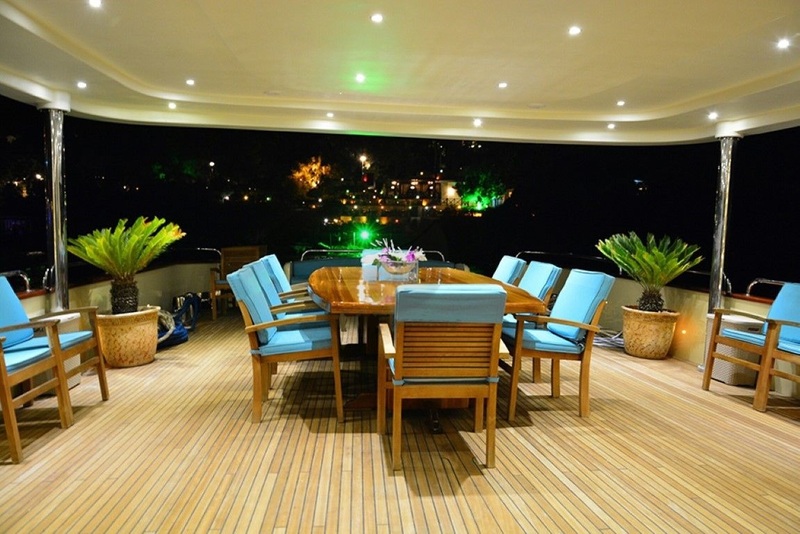 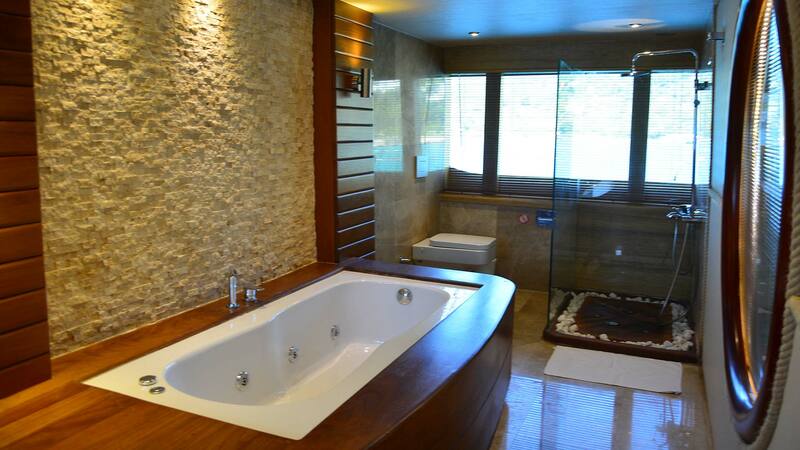 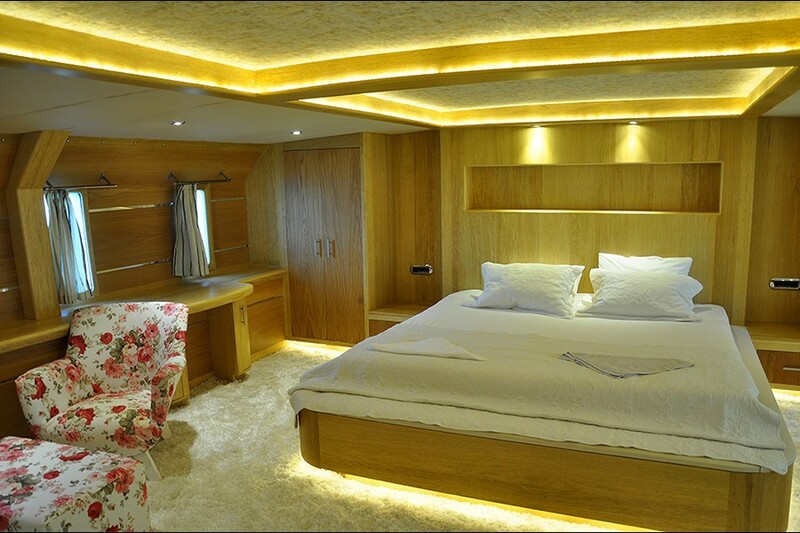 Kuzey T’s lavish leisure and entertainment facilities make her the ideal yacht for socialising with family and friends. 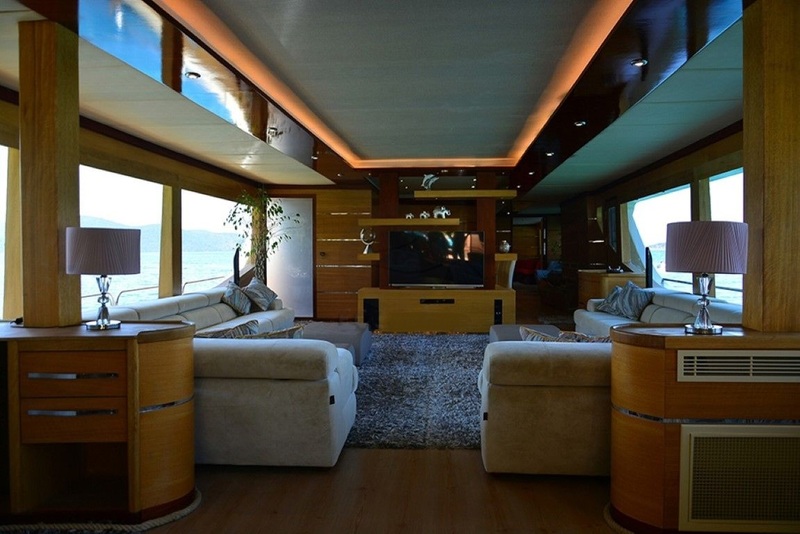 She has a large living area with LCD TVn DVD and stereo music player, as well as enough space for eating and relaxing both indoors and out. 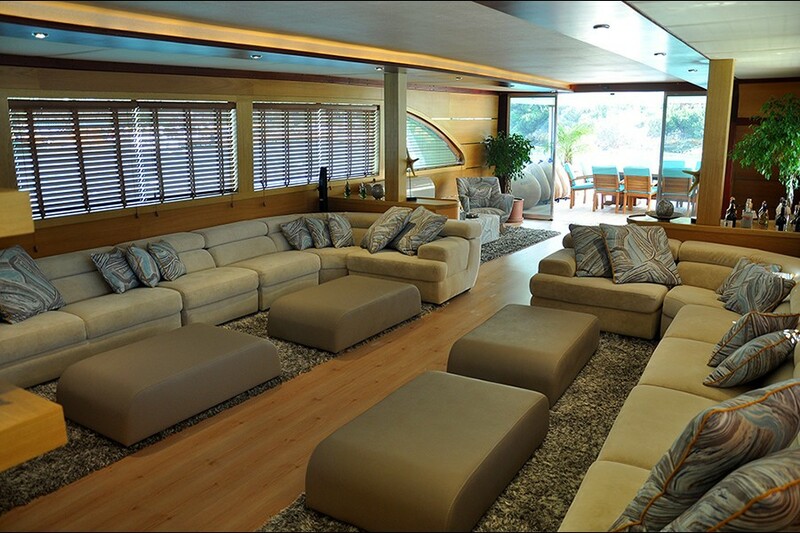 In between the cabins you will find a hall with a bar, a lounge with a dining table. 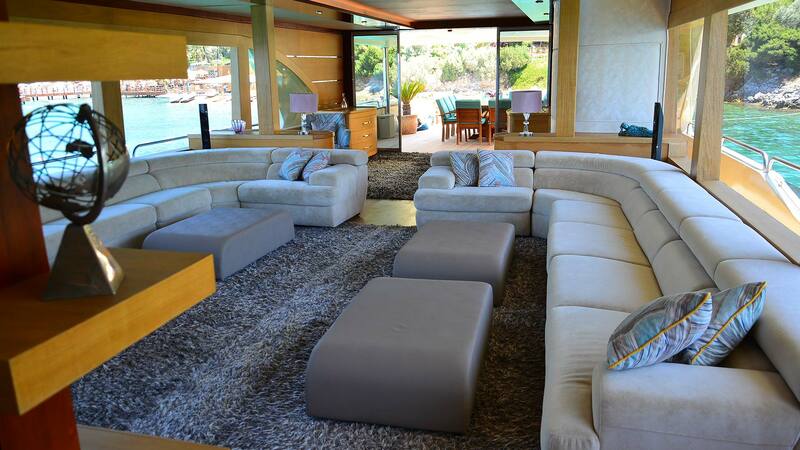 There is also a comfortable seating area with modern and classic furnishings, ideal for entertaining. 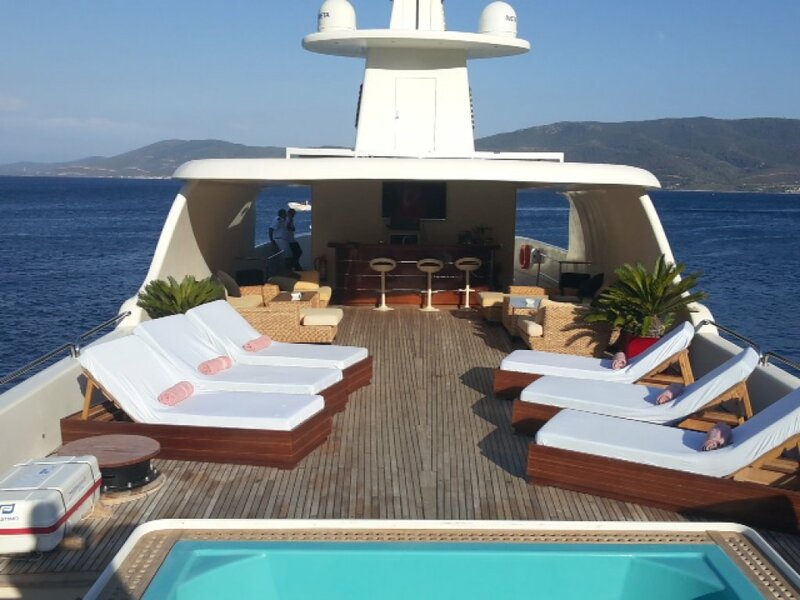 Her decks are vast, with enough cushions and sunpads for everyone to be able to enjoy sunbathing together. 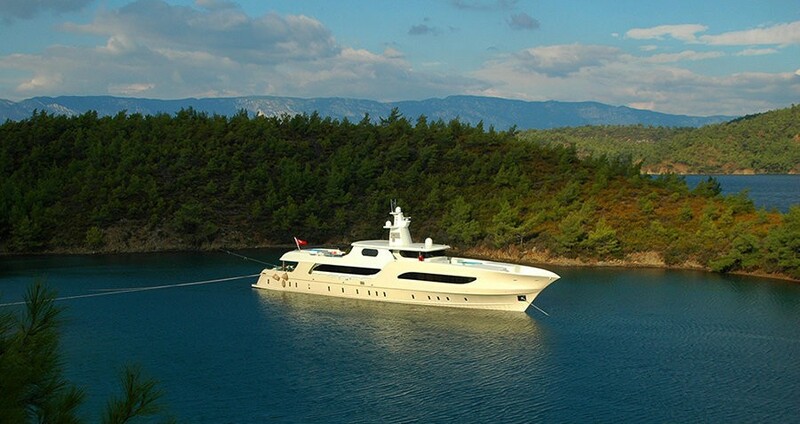 Kuzey T cruises at speed of 10 knots with a top speed of 14 knots. 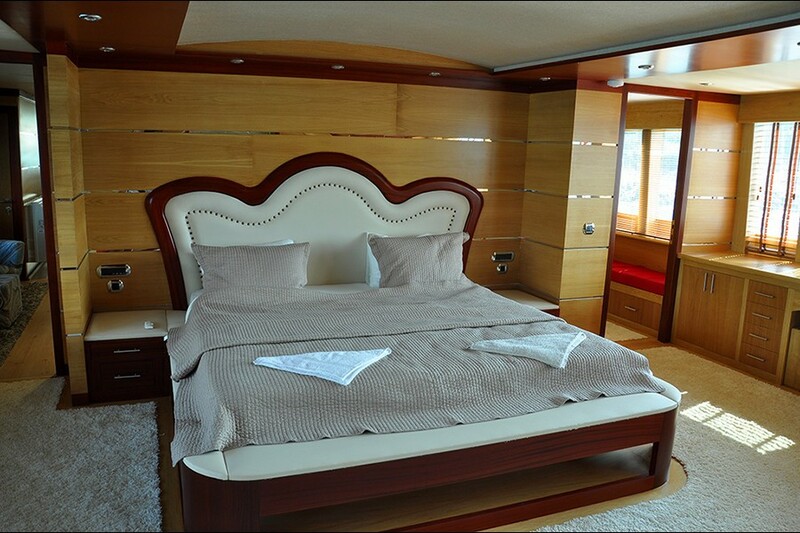 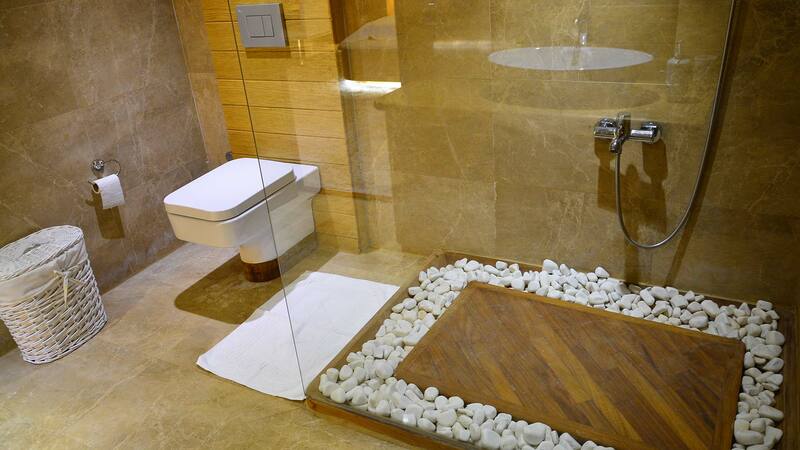 The interior layout can sleep up to 10 guests in 5 rooms. 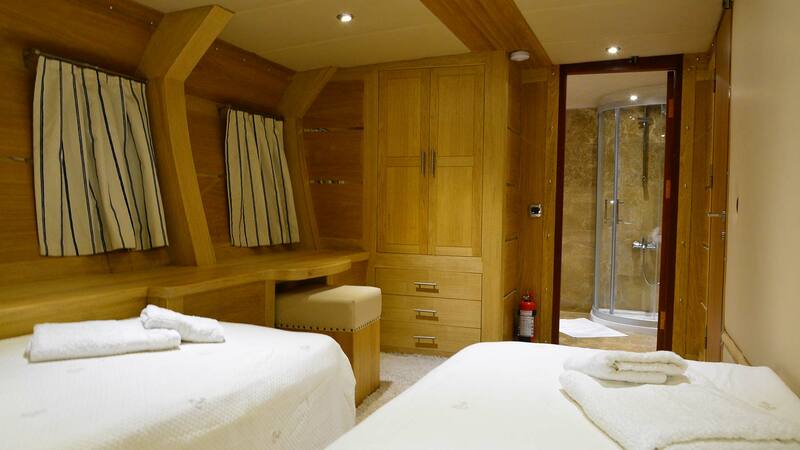 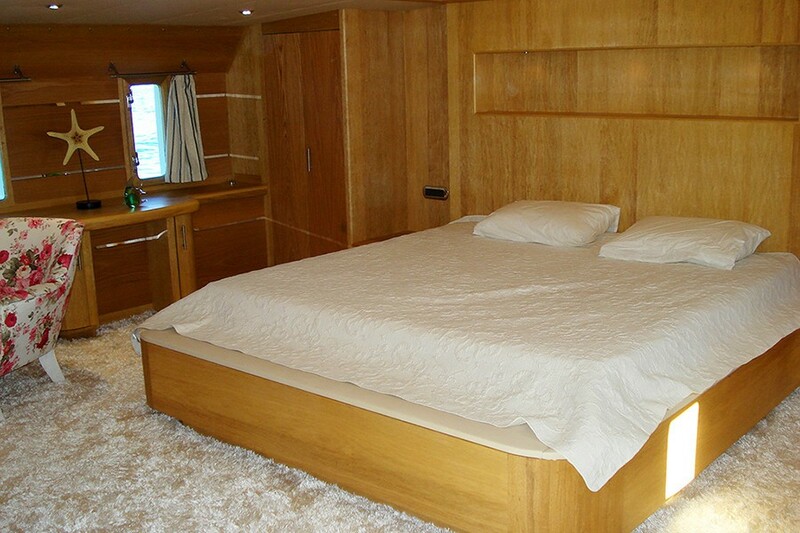 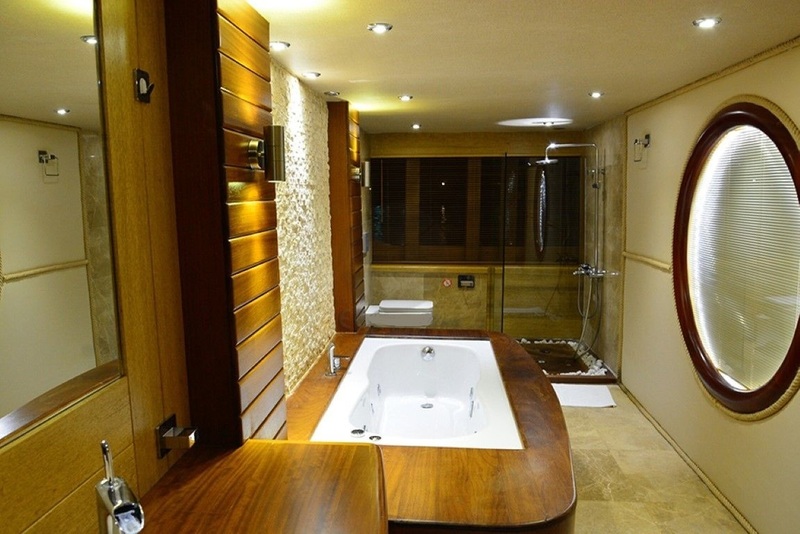 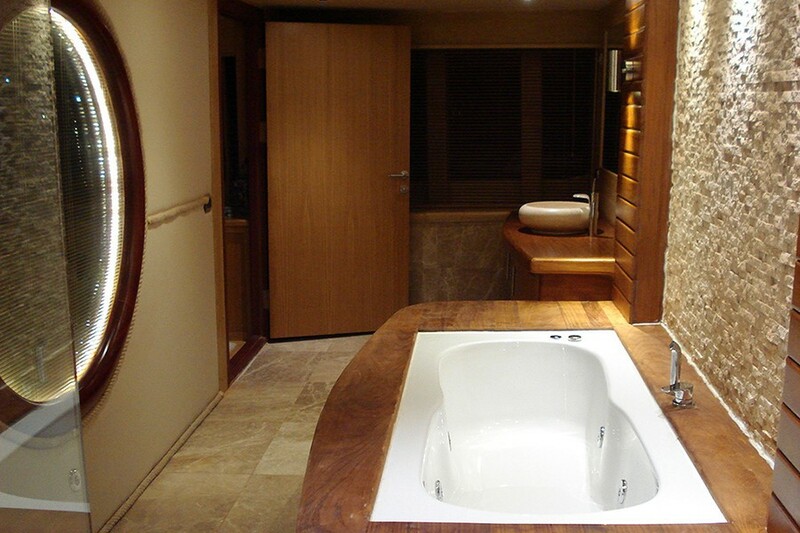 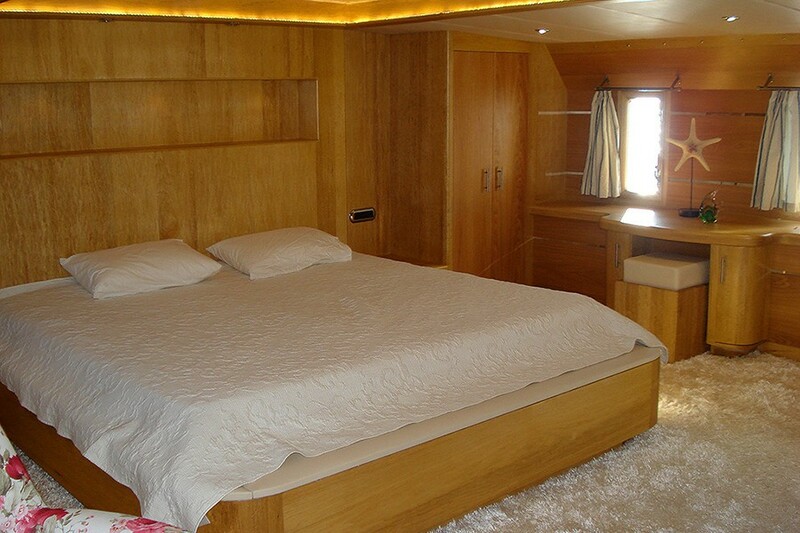 Accommodation comprises a master suite and 4 double cabins. 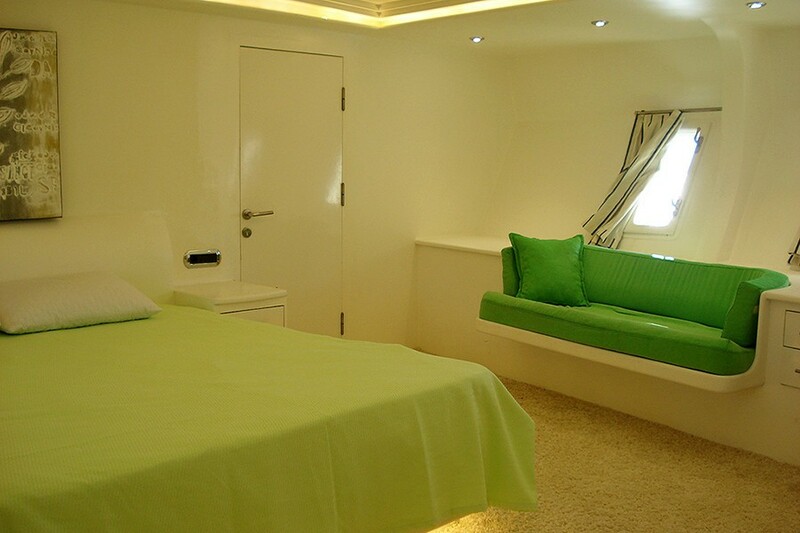 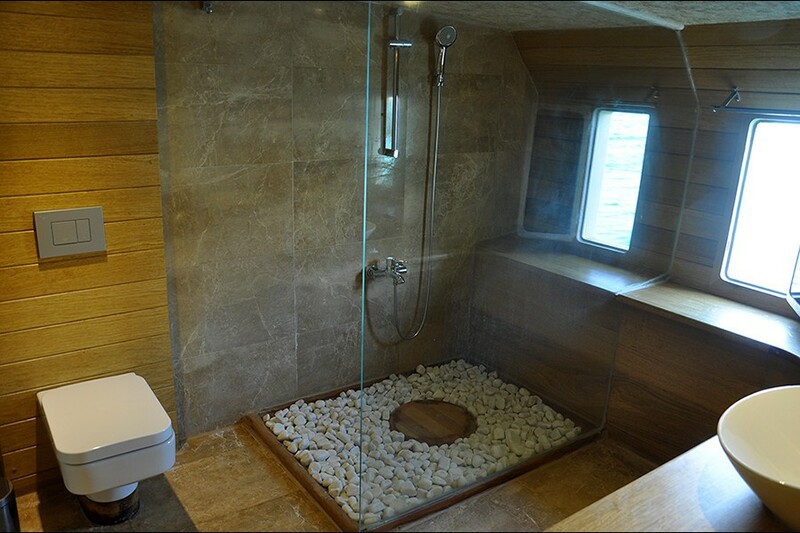 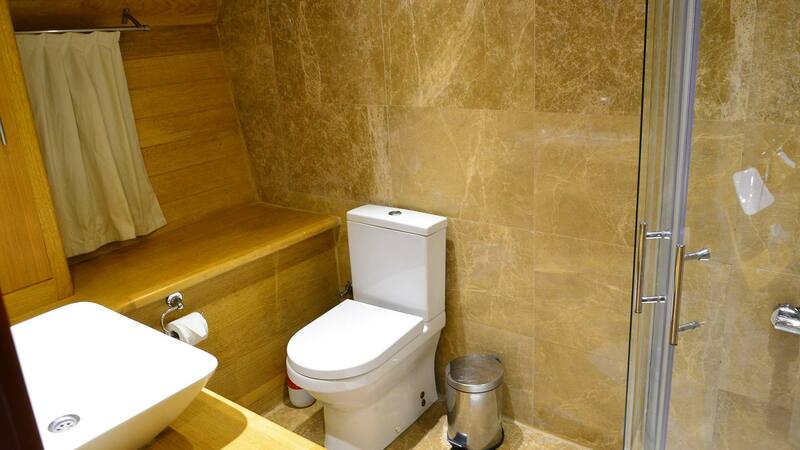 All are fully equipped with an ice machine, CD-DVD player, coffee machine, wine cooler, hairdryer and a service phone. 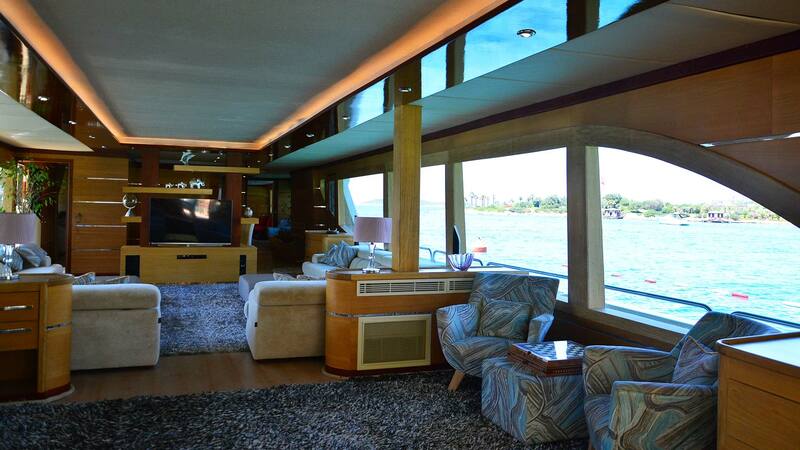 There’s also internet access, music systems as well as satellite TV. 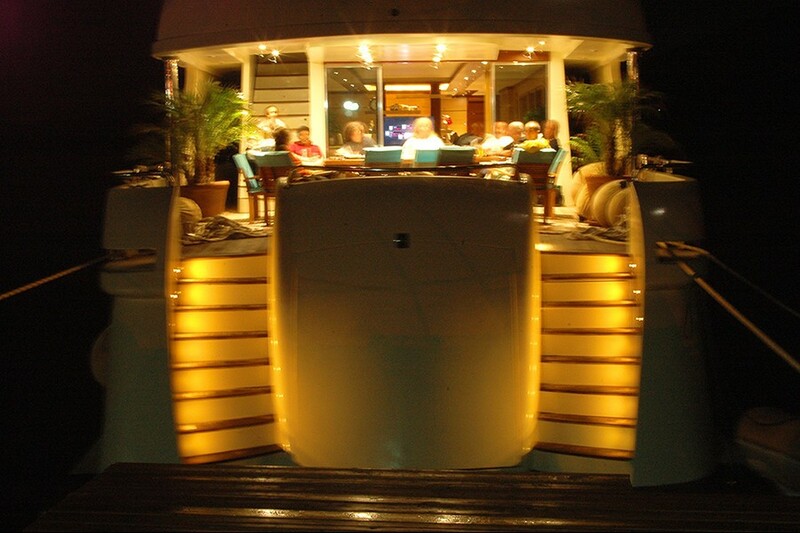 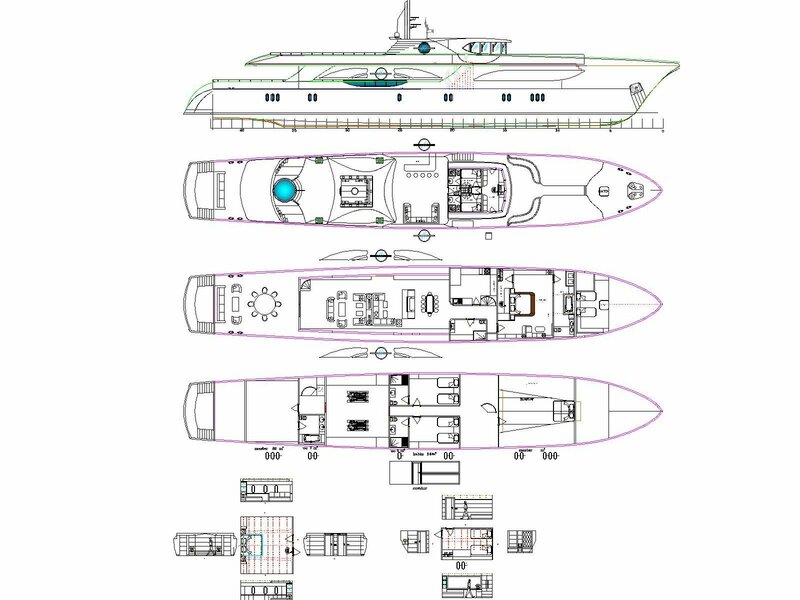 The yacht can also accommodate 6 crew onboard. 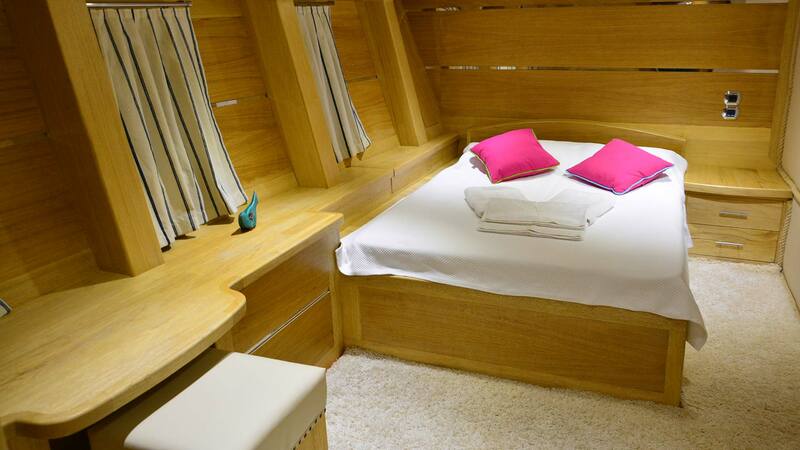 Diving equipment, snorkelling equipment,3 Ringos, 2 canoes, waterslides and a wake-board. 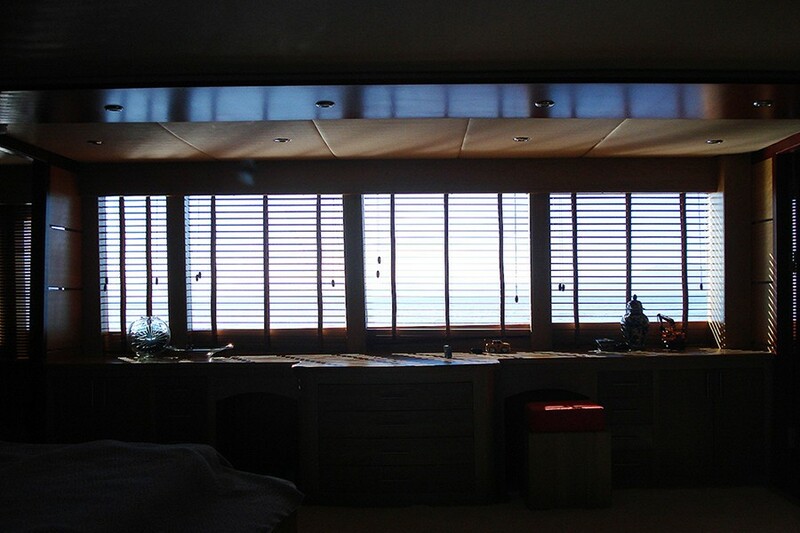 For fishing enthusiasts, there is fishing tackle and equipment.